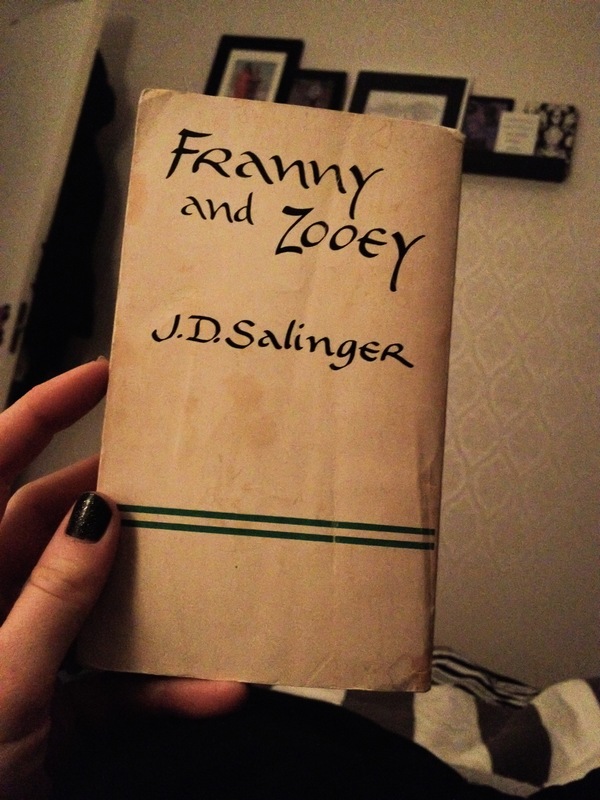 The only other Salinger I’d read before this was assigned by my 9th grade English teacher. We read The Catcher in the Rye. The most vivid thing I remember from that book was a description of Holdon’s friend’s teeth. It was a grotesque image that has stayed with me to this day. That’s not what I’m here to discuss today. Today we’re looking at Franny and Zooey. I knew literally nothing about this book before reading it. If you know literally nothing about this book I have some news for you. If you think Franny and Zooey might be a tantalizing romance between two women, you would be mistaken. If you then go on to ponder that Franny and Zooey might be a romance between a man named Franny and a woman named Zooey (as one may assume, now knowing that it is not two women), you would again be incorrect. If you then go so far as to venture that Franny is a female character (as was inferred from the beginning) but even that Zooey was a male character, then I congratulate you. You are correct. I also have a question for you: How on Earth could you come to guess that Zooey is a male’s name?! In my world it simly isn’t so. Wasn’t so. After reading the book, Zooey will forever be categorized as the name of moody, somewhat dark, intelligent young men. I think that moody, intelligent and somewhat dark is actually a good description of the book as a whole. So if you’re in the mood for something moody (I couldn’t resist) then this is my recommendation for you. Categories: 25 Before 25, Books, Entertainment, Life | Tags: 25, 25 before 25, book, books, dark, Franny and Zooey, fun, intelligent, J.D. Salinger, moody, read, reading, somewhat dark | Permalink. 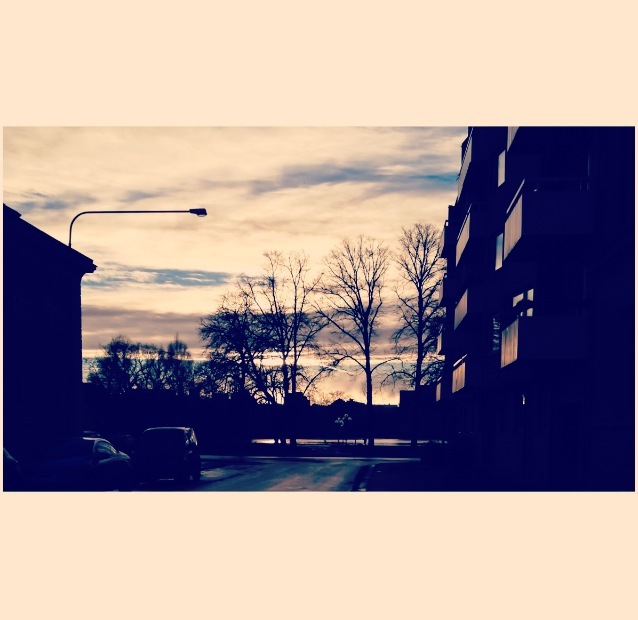 Today I checked when Sweden would have more sunlight hours than Boston. March 19th. I plan to have a party that day. I miss the sun. You are all invited to my sun party. Details to come. In the mean time I’d like to complain. It’s one thing to have a ridiculously dark winter. But a snow-less winter? That’s just not okay in my book. Here in Sweden there was no snow on Christmas or New Years. As far as I’m concerned it might as well not snow anymore. 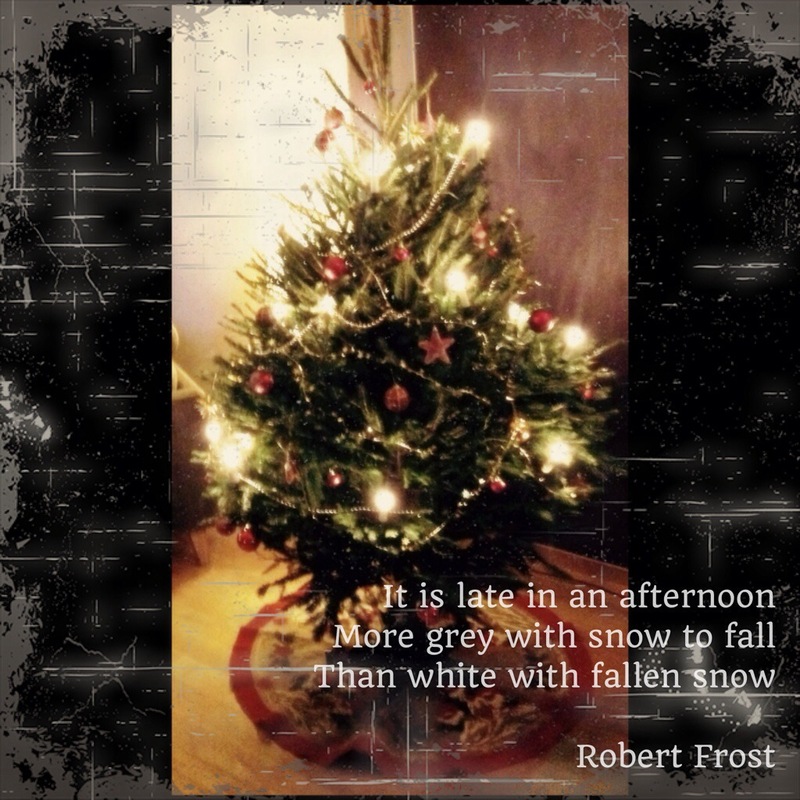 The cheery cozy Christmas with snow outside and a roaring fire never came to be. A glistening snow filled walk down to the city to watch the fireworks was not the case. Now it might as well be spring. 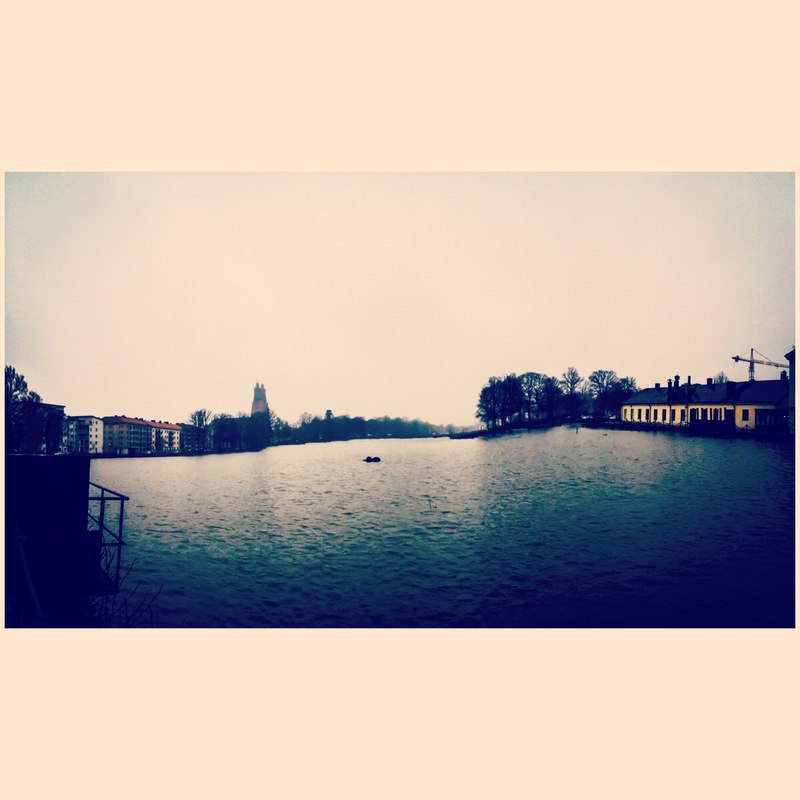 It has been grey and gloomy instead. Counting down the days until March 19th. Categories: Humor, Life, Travel | Tags: cold, cozy, dark, fire, glistening, grey, snow, spring, sun, Sweden, weather, winter | Permalink. This quote perfectly describes the weather where I am. Merry Swedish Christmas! Here’s hoping for some snow around these parts. Categories: Culture, Family, Food, Holidays, Life | Tags: Christmas, cold, dark, December 24th, family, food, God Jul, grey, ice, Robert Frost, snow, Sweden, Swedish Christmas, tradition, white, winter | Permalink. I don’t know if you heard. But there was a woman who fell out of the tallest wood-steel roller coaster, at six flags Texas. Last year I feel like there was also an incident where someone fell out of a roller coaster. Maybe it was the year before that. This is clearly terrible news. But, aside from freaking me out a bit at the time, it hasn’t really affected me in the long run. Yes, this means I’ve been to amusement parks the past few summers in a row. I’m not sure what that says about my intelligence. But, I’ve always gone before these accidents have happened…and not to the same exact park. Helps? 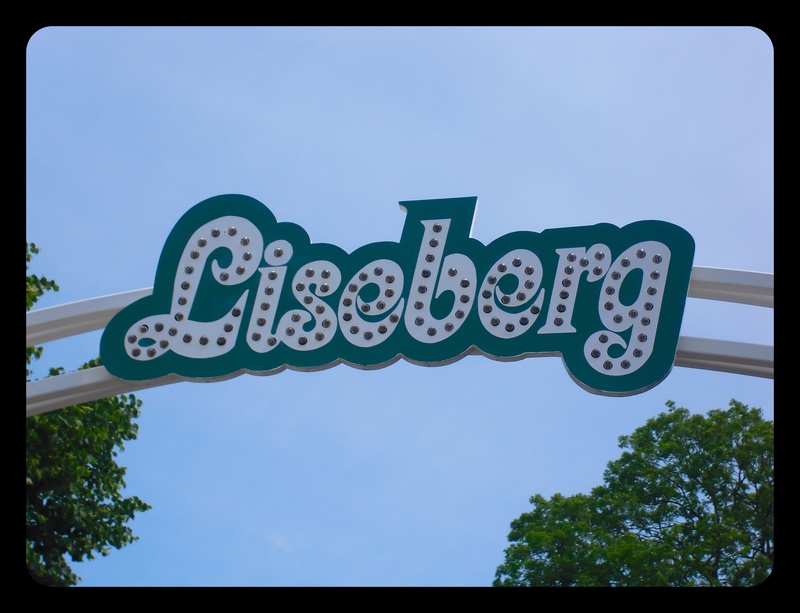 Anyway, two summers ago I made my first ever trip to Liseberg in Gothenburg (Göteborg for all you Scandinavians out there). Evelina got train tickets and tickets to the park for me for my birthday. I was thrilled. Because a) I love amusement parks and b) they had just opened the highest free fall roller coaster in Europe. It’s name is AtmosFear (the cunningness of which is reason in and of itself to ride the ride – if you ask me). It’s 146 meters above sea level, and drops you at 110 km/h. Yeah I had no idea what that meant either. That’s 482 feet above sea level, or about 2/3rds of the way around 1 lap on your average track. At 87 miles/hr, or fast enough to get you a killer of a speeding ticket on a state highway. Not bad I say, not bad. Gothenburg is a beautiful city, and catching the view of it from the top of AtmosFear is certainly worth it. Unless you’re terrified of heights. This may not need to be said, but: don’t ride the ride if heights terrify you. 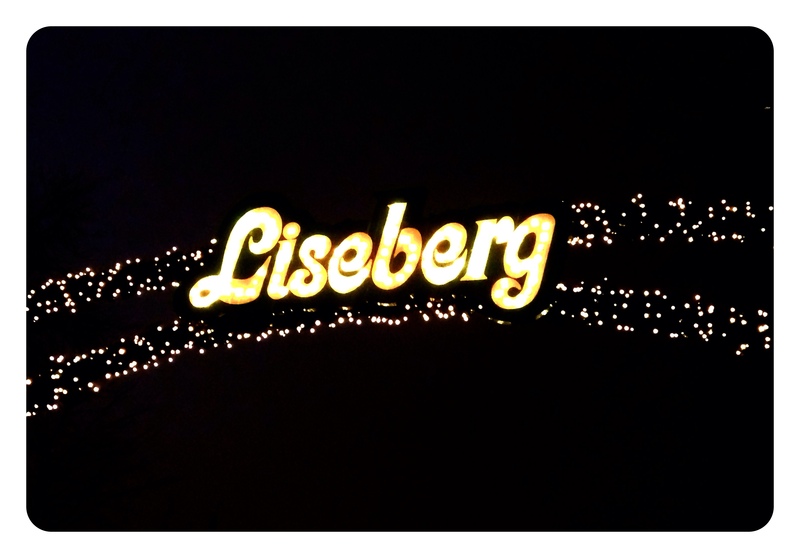 But summer fun isn’t the only thing that Liseberg has to offer. Categories: Friends, Holidays, Humor, Life | Tags: amusement park, Christmas market, cold, dark, fast, friends, Göteborg, Gothenburg, happy, heights, high, Julmarknad, life, lights, Liseberg, presents, rides, rollercoaster, scared, snow, summer, sun, sunny, Sweden, train, travel, trip, visit, visiting, warm, windy, winter | Permalink. It’s that time again! Today is Lucia, so I hope you all have a happy happy day. Last year I wrote about the Lucia tradition here in Sweden. It’s a pretty big day. You all remember the general gist of things. Swedes dress up in one of four outfits, walk around in a line while sing traditional songs, and then eat lussekatter & drink glögg. This year at work a colleague and I were in charge of planning the Lucia train for the children at the pre-school. It was quite the task as over 200 people would be present. We were in charge of scheduling, assignment of different tasks, attendance, food, et cetera. Basically, this was my first endeavor into party planning – for 5 year olds. I think we pulled it off. My biggest fear was not realized (that someone would get set on fire – which was rational, we had open flame), and none of the children cried. The children seemed to have a grand ol’ time singing away the an outdoor stage, and the parents crowded around trying to get a good photo. I would do it again next year. 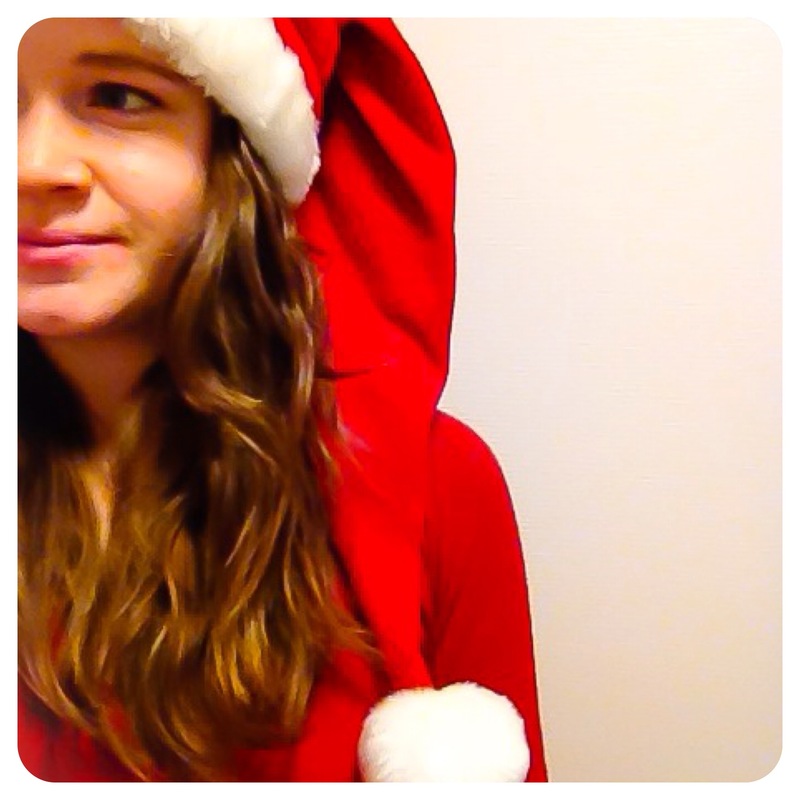 To be honest, just give me an excuse to wear a Santa hat and I’m in. Categories: Culture, Food, Humor, Life, Travel | Tags: candles, celebrate, celebration, children, cold, dark, fika, fun, life, lights, lucia, Lucia train, Luciafirandet, play, red and white, Santa hat, singing, songs, Sweden, Swedish, tradition, travel, winter, work, yum | Permalink. When a book remains on the “to read” list for that long, it usually means it’s not my style. Not a book I can really get in to, and after all these years have avoided reading. What a surprise it was to read this book. I was immediately enthralled in Brontë’s world and writing style, which made this one an exciting read. 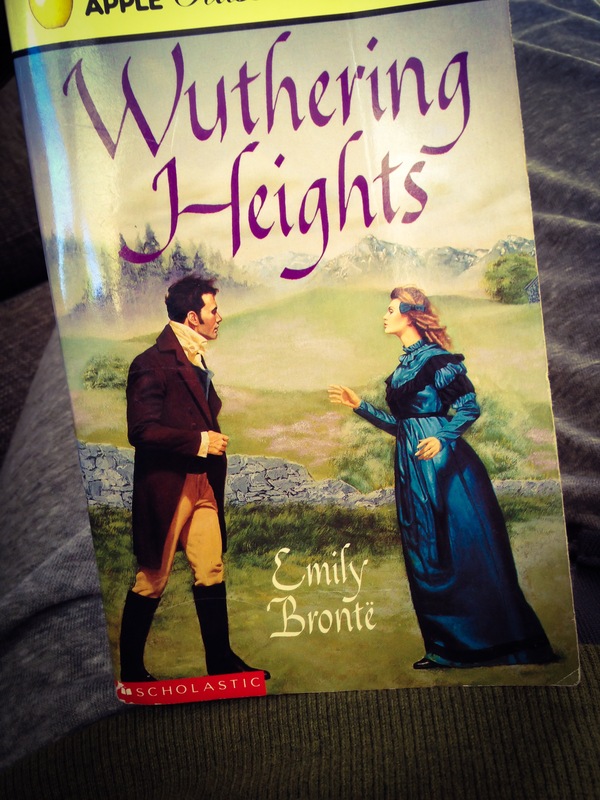 Wuthering Heights is just what’s in order to get through the long fall nights. This book comes highly recommended by me. And Francine Prose. Check this one off the list! Categories: 25 Before 25, Books, Holidays | Tags: 25, 25 before 25, book, books, dark, Emily Brontë, fall, reading, To Do, Wuthering Heights | Permalink. swedish groundhog’s day, or is it fish day? The other day was Groundhogs Day. I hope you all celebrated accordingly. With long, loud parties late into the night. That’s what I did at least. you a’int nothin’ but a groundhoggg…. Here in Sweden I was really hoping for a cloudy day. REALLY. You guys know by now how cold I am. But when Saturday rolled around I was awoken by the sunlight streaming through the windows of our bedroom. I was simultaneously filled with glee and remorse. FINALLY the sun was back. BUT now it will be winter for forever. Little did I know “murmeldjur” as they’re known here in Sweden, are a little known animal. There is no Groundhog’s Day. (Hope for me at last!) Here, instead, you cut open a female “aborre” (a European perch) and inspect the eggs. Depending on the number/size/etc. of the eggs determines how close we are to spring. Say it like Dory says “escape”. Aborre! This also seems to me to be a slightly more scientific manner of determining the seasons. Rather than whether or not a small squirrel cousin is afraid of his shadow. So I’m going with the fish. I’m also claiming that the fish say spring will come early. Categories: Culture, Holidays, Humor, Life | Tags: aborre, celebrate, cold, dark, denial, eggs, fish eggs, groundhog, Groundhog's Day, shadow, spring, winter | Permalink.